Madison New Jersey is located in Morris County and has great energy and a Bohemian atmosphere. Its home to Drew University and Fairleigh Dickinson University campus. View Madison Real Estate Statistics updated daily. Madison High School is gets high rankings by NJ Monthly Magazine. Madison's downtown center is charming and vibrant. Madison schools are top ranking in New Jersey and are shared with Harding Township. Madison NY commuting residents have access to a train station on Prospect Street. Browse current Madison listings and local town information and visit my Madison blog for real estate statistics. The distinctive Waverly Place clock always charms people. Madison has interesting little alleyways that lead to cozy shops and unexpected destinations. Madison streets are beautifully manicured with interesting boutiques and restaurants. If you work in New York, you'll appreciate the Madison train station right off Main Street with connections to Hoboken and Penn Station in Manhattan. The buses also run frequently for an easy commute. 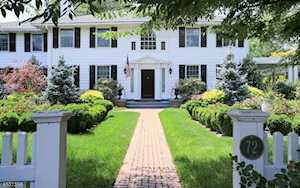 Register to view all New Jersey homes on the market 30 minutes to 1 hour from New York City. My free, one-step registration allows you to bookmark your favorite properties, save searches, and receive emails as soon as new houses enter the market. Madison is less than an hour by train or bus from Times Square. The historic Borough offers its 16,000 lucky residents a superb quality of life. 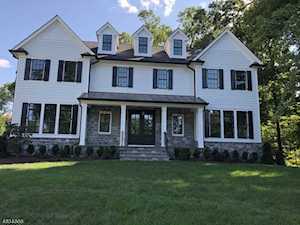 Surrounded by equally picturesque and historically rich Morris County villages, Madison’s ethnically diverse population enjoys safe, friendly neighborhoods, superb outdoor recreation, and a fabulous range of shopping, dining, and cultural amenities. Carefully maintained treelined streets, friendly, walkable neighborhoods and a charming historic ambience make the "Rose City" a highly desirable residential location. The Madison real estate market offers town homes and condos along with single family homes and a wide range of housing styles spanning more than 200 years of history. With plenty of old world charm, Madison's historic homes reflect everything from Queen Anne, Gothic, Classical Revival, Romanesque and Second Empire styles. One of many historic buildings in Madison, the Luke Miller house, was built around 1730 and is thought to be the town’s oldest building. Major Luke Miller, a Revolutionary War soldier was born in the house in 1759 and lived there until his death in 1851, aged 91. The house was used extensively as a place of rest and refuge for officers during the Revolutionary War and is believed to have been frequently visited by George Washington. Madison’s entire downtown is a Commercial Historic District, on both the State and National Registers of Historic Places, and contains many beautiful old buildings. The remarkable Mansion at the nearby Fairleigh Dickinson University campus is particularly notable. With over 100 rooms, many decorated in Italian marble, and with commanding views of the surrounding countryside, it was designed by Stanford White in the 1890’s as a replica of part of Hampton Court, one of the homes of King Henry VIII, near London. The train station in Madison is actually designated as a Historial Building. Madison New Jersey’s first greenhouses were built in 1856 and the town soon became known as “The Rose City” for the beautiful long-stemmed blooms that were grown there throughout the later 19th Century. The rose-growing industry has long passed into history, however the name has stuck!! Madison New Jersey is home to one of the most acclaimed gated corporate environments in the park-like Giralda Farms Corporate Campus, which was originally part of the estate of the late Geraldine Rockefeller Dodge. Giralda Farms houses some of the town’s principal employers, including such major corporations as Wyeth, Verizon, Maersk, Schering Plough, Atlantic Mutual, Accordia Northeast (a subsidiary of Wells Fargo), and Daiichi Pharmaceuticals. Drew University is another major employer, and of course the town’s proximity and easy access to New York City and other major New Jersey urban areas widens the scope of available employment opportunities enormously. Madison residents have many choices for walking, jogging, cycling and recreation. The Great Swamp National Refuge is on their doorsteps along with numerous town parks and open spaces, and access to major path and walkway systems provided by Morris County and at Giralda Farms and Drew University. Madison provides many opportunities for team and individual sports and fitness activities, including indoor and outdoor swimming pools, basketball and tennis courts, sports grounds, and several well-equipped gymnasiums, including the extensive facilities of the Madison YMCA, which caters for over 12,000 members. The relaxing and restorative qualities of well-planned and maintained parks and gardens are amply demonstrated in the beautiful 127-acre Frelinghuysen Arboretum. With a magnificent Colonial Revival mansion at its heart, the Arboretum’s beautiful gardens, woodlands, and meadows and its notable collections of specimen and trees and shrubs make for a wonderfully serene and restful environment. Regular concerts during the summer months and educational programs for botanists, gardeners, and horticulturalists add to the attractiveness of this popular local attraction. With 23 golf courses, including some of New Jersey’s best public courses, Morris County golfers have plenty of choice. Right in Madison Township, the private Madison Golf Club’s 9-hole course has attracted players to its small greens and narrow hilly fairways since 1896. Other excellent courses within a mile or two of Madison include the 18-hole Fairmount Country Club, the very attractive Brooklake Country Club, and the Morris County Golf Club, established in 1894. Madison kids shaving their heads to benefit cancer! Madison’s Museum of Early Trades and Crafts which is pictured in the middle below is a truly unique facility dedicated to presenting and interpreting the history, culture, and lives of the ordinary people of New Jersey from the days of its earliest settlement. The Museum presents a marvelous array of displays, exhibits, educational programs, and even musical concerts to draw visitors into the daily lives of our forbears. The Museum of Early Trades and Crafts is an impressive historic building located at 9 Main Street in Madison New Jersey. Madison is also the home of the Shakespeare Theatre of New Jersey, the Playwright's Theater of New Jersey, and the Adult School of Chatham, Madison, and Florham Park. Madison is situated in southeast Morris County, New Jersey. The town is easily accessible from New York and all points north, south and west on nearby Interstate Routes 78, 287, 80 and 280 and by New Jersey Route 24. Madison is 11 miles from Union, NJ, 16 miles from Newark, and 34 miles from New York City. 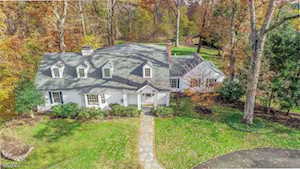 Addition Madison town information is available by clicking on the links below or call Susan Zanzonico on 973-214-5872. Buyers and sellers feel free to use my Madison MLS to find up-to-date real estate listings and homes for sale in Madison and towns commutable to New York.